For those of you who don’t know, a ‘gift guide’ is basically a guide or list designed to help your customers choose great products from your business. You may well have seen them produced by companies such as John Lewis, Amazon or small independent gift shops. You may be thinking, why should I bother creating a Christmas gift guide? Well gift guides have become an increasingly popular marketing tool for both small and big businesses. Gift guides are a smart tool to use during the Christmas period as not only do they make product purchasing easier for clients, but also gives a personalised experience to customers. So here are a few tips to making your Christmas gift guide stand out! 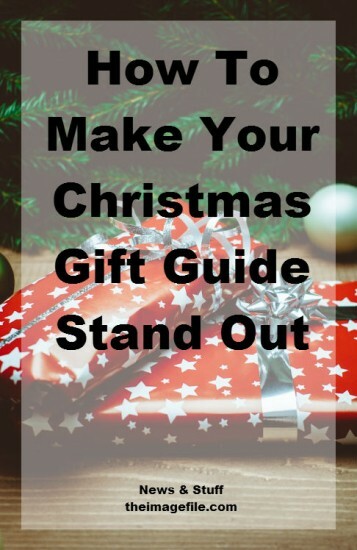 Try to think of a compelling name that will make your gift guide stand out and be a great branding tool for your business such as – ‘Christmas Most Wanted List’ or ‘Your Business LIst – Favourite Things’. The sooner you get your gift guides out the better. Try to refresh your gift guides about three times as it gets closer to Christmas in order to accommodate the early-bird customers, those who purchase throughout December and then the last-minute shoppers. Also be sure to let customers know about any bonuses you offer such as special shipping services etc. Traditional gift guides tend to categorise their gifts either by price range or recipient e.g. Gifts For Him, Gifts For Her etc. Instead why not get creative? Create gift guides for different types of people such as ‘Gifts For The Workaholic’ including items such as calendars or diaries, or create guides such as ‘Stocking Fillers’, ‘The Big Present’ etc. Whatever method you decide to use be creative and make it unique and personal. Try to suggest items you think your customers would actually want rather than products with a big price tag or stock that hasn’t been selling so well. Once you’ve created your awesome gift guides make it easy for customers to find where they can book you and then where they can purchase the products you recommended. Feature your gift guides on your website home page, your blog and include them in your Christmas newsletter and email campaigns. Also remember to post them to social media over the coming weeks so that your followers get to see them too. Equally you could create a special page dedicated to Christmas including everything from your gift guides to special offers. Do you create Christmas gift guides for your clients? How do they work for your business?